Flannel up little lumberjack! 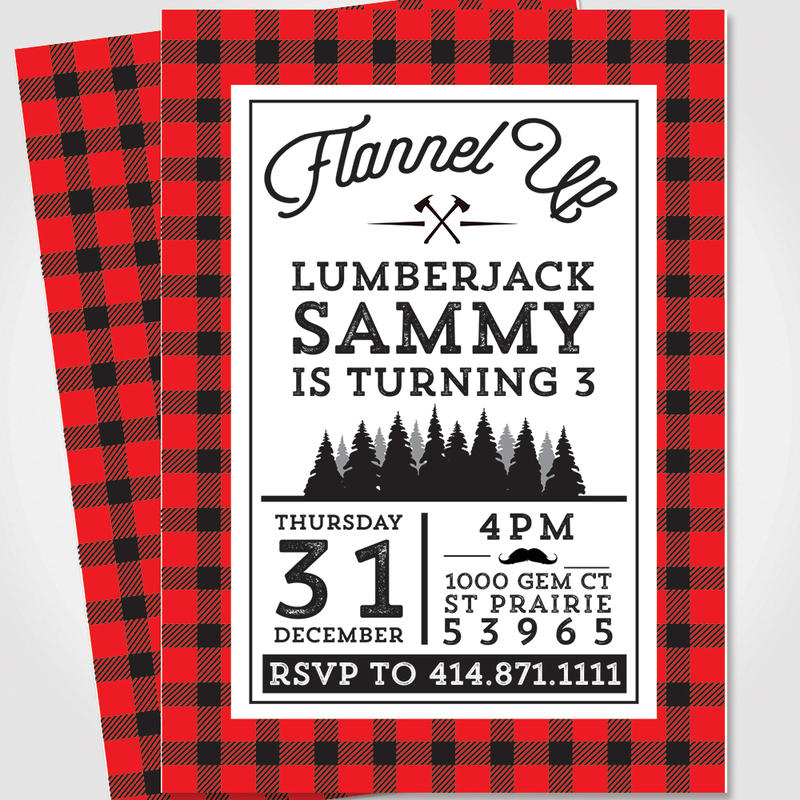 These customized lumberjack invitations are sure to set the tone for your child’s party. Add these invitations to your cart and have them shipped directly to your doorstep.